Download!! 2018 FIFA Worldcup Fixture now!! PDF or DOCX Format available. 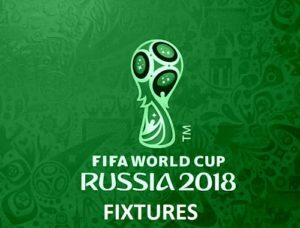 Here you will get the complete fixture of FIFA Worldcup 2018 Russia including Group, Team Names, their game schedules, time of game play as well as Venue or place to be played on. Just grab our complete fixture of FIFA 2018 Worldcup Below!! 21st FIFA Worldcup will be hosted in Russia and will start from 14 June – 15 July 2018. Altogether there are 8 Groups (A,B,C,D,E,F,G,H) in which each group has 4 teams in it. So, there are 32 teams in total for FIFA 2018 Worldcup.From each group top 2 teams will head to the next round. If you are looking for the fifa 2018 fixture then you have come to right place, here we provide the complete team name list along with their matches detail including time and venue. So you will get complete fixture of 2018 FIFA Worldcup. Just download the file below and you will be able to find your favorite team’s complete fixture for 2018 FIFA Worldcup.